This is for a large building block shaped soap. 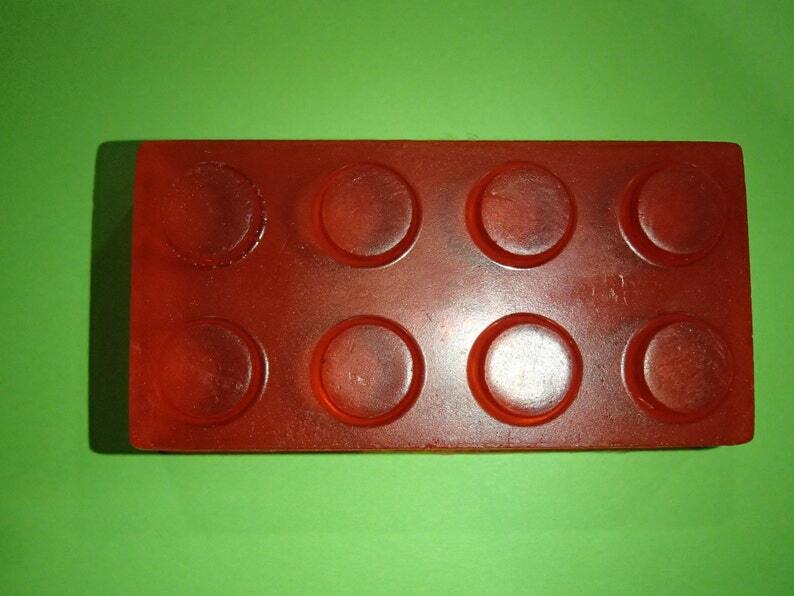 Fun soap for making Lego fans take a bath. It measures approximately 3.25 inches by 1.75 inches and is 0.75 inch thick. It weighs about 2.5 ounces. This is colored red and scented Strawberry.